Apparently your print is a part of a polyptych. The artist is Nobuyasu (延保), and it was published in May, 1895. 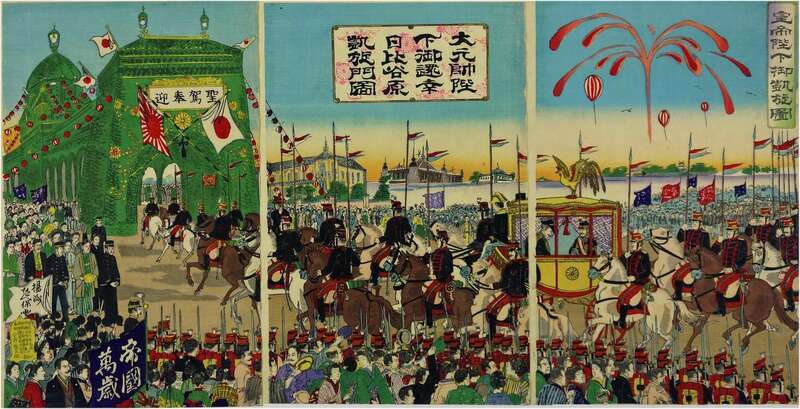 The triptych above is probably a similar depiction of a procession - perhaps the very same occasion - also by Nobuyasu and published in the same month.